Kånken No. 2 black backpack by Fjällräven. The fully back version of the Kånken No. 2 backpack with extra luxury leather details. The backpack is made from G-1000 HeavyDuty that is able to withstand the most extreme weather conditions. The spacious main compartment has a large opening with a zipper, which makes it easy to pack and unpack. 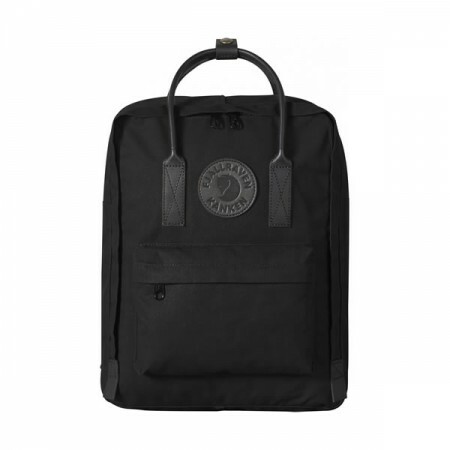 A fun detail is that every Kånken backpack has a removable seat cushion to keep you comfortable while on the go.